Ninety-five years after the launch of our ‘food counter’, La Grande Épicerie de Paris opens a second Parisian address, at 80 Rue de Passy, in the 16th arrondissement. Take a peek behind the scenes at all the preparations for the opening of our Rive Droite store. In July 2016, the Franck & Fils department store, a high-end Parisian fashion institution, closed its doors for the last time. Some 120 workers were then employed to rejuvenate the premises, the chosen location of the second La Grande Épicerie de Paris. As the months went by, its interior spaces were designed, created and transformed. 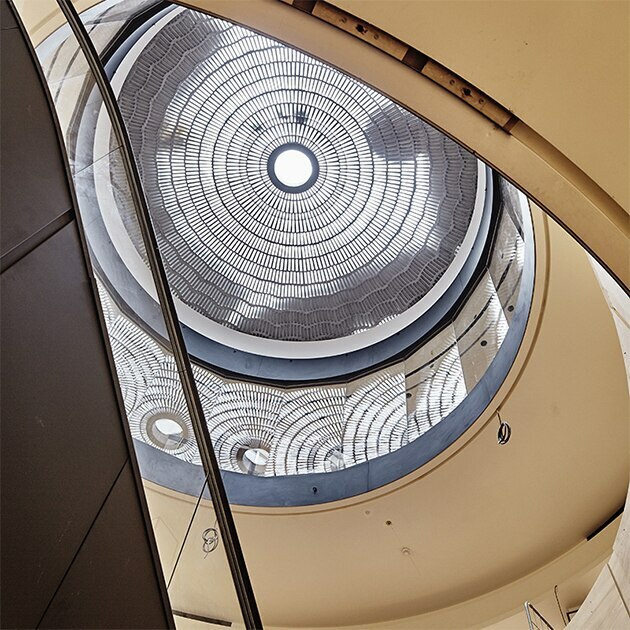 The second store is structured around a large central stairwell, over 16 metres high, crowned by a majestic dome made of 2,336 glass prisms. At the centre, the escalators feature the same iconic artwork as the Rive Gauche and connect the store’s various levels. Tiled panels, figurative frescoes and ceramic mosaics by artist Mathilde Jonquière adorn the walls of the various stands, evoking an authentic yet modern décor, echoing that of the Rive Gauche. Outside and out of sight, the façades on the Rue de Passy and the Avenue Paul Doumer become increasingly green, with the scent of aromatic mint, thyme and rosemary greeting the customers. After 13 months of work, La Grande Épicerie de Paris Rive Droite celebrated its inauguration on 9 November 2017. Quality, originality, magnanimity – all the values intrinsic to La Grande Épicerie de Paris feature here. From the marketplace to the bakery via the butcher’s, in an area measuring over 2,800 m2, you will find our selection of 6,000 emblematic products and culinary creations. There are also a few unique features that set this new place apart, such as its impressive product range, its counters where you can sample both sweet and savoury goods, and its restaurant Le Rive Droite, run by Beatriz Gonzalez, which merges French cuisine with Mexican influences. 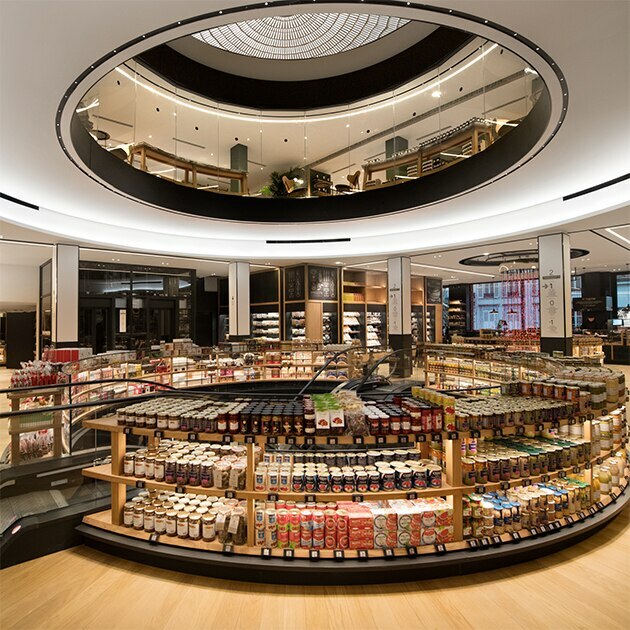 The perfect combination of continuity and modernity – join us and experience La Grande Épicerie de Paris Rive Droite!